Pont Noir • Three phase - how do I hate it, let me count the ways! 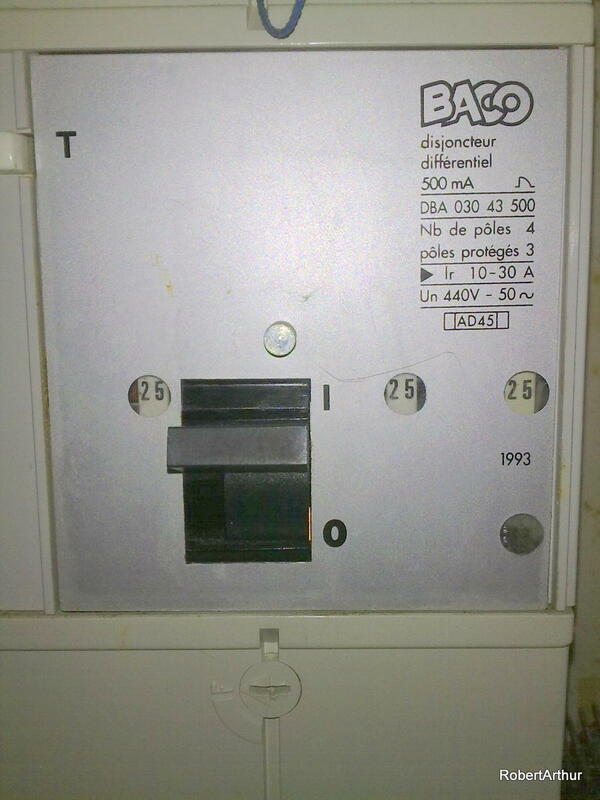 French LifeFrench Electrics	Three phase - how do I hate it, let me count the ways! I know, I know - I just don't get it. I have had smart people trying to explain it for years and all I hear is 'blah blah blah'. Back in Creuse for the holidays and getting the house warmed up. As well as the fire, I turned on two electric radiators and, for an extra burst before bedtime, an electric fan to take the edge off the bedroom. CLACK! All goes dark. Reset the fusebox without the fan and one of the radiators and all is well again but the automatic ignition on the gas stove is now kaput. I will attempt to call our very patient electrician in the morning and I know I can work around it but does anyone have any advice? RobertArthur probably has more informed advice, but why have three-phase at all? Unless you are running huge electric motors, it'd seem like just one more thing to go wrong. You might ask your very patient electrician if it would be easy to change over to what I imagine is a simpler system. Wise words indeed. As they say, it seemed simplest at the time, i.e. it was what was there before and the EDF guy didn't want any extra hassle. Will look into the cost for moving to monophase. Haven't contacted my patient electrician as now the phone/internet is doing some 'in, out, in, out, shake it all about' jiggery pokery and I just gave up and sat in the garden this afternoon in the sun, which was lovely. Tomorrow is another day! Creusebear, sorry to hear about your encounter with the Prince of Darkness here in France, always thought that Mr. Lucas favoured car electrics during dark and rainy nights in the English countryside. Single track road, sharp bend, dark trees all around etc. Batteries in your torch also flat. 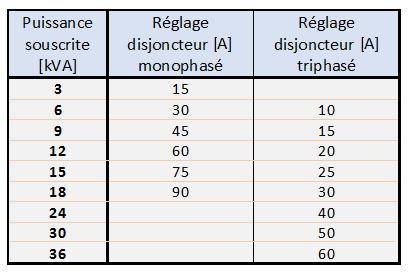 Okay, the same old song: in three-phase you get only 1/3 of your puissance souscrite per phase. Not too difficult to overload one of them. The reaction of your main switch, the Disjoncteur de Branchement (DB) is to switch off everything. Let's take an example of a 9 kVA three-phase abonnement. You'll get 45 amps, so 15 amps per phase. Not too much as you probably have noticed more than once. In single-phase the DB starts triggering above 45 amps, much more headroom. If you are going to be equipped with a LInky smartmeter in the near future the problem will only get worse, see this info about the trusty old DB. Only if you have three-phase woodworking machines or a heat pump three-phase is useful. 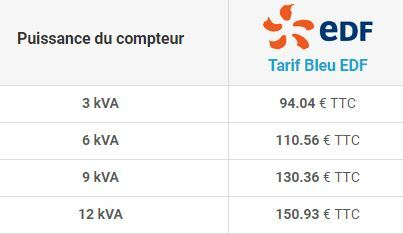 There is a standard tariff in the pricelist of ENEDIS for these change overs between mono or tri. For reference one of the many forum discussions, the French, the Brits, the Dutchies keep asking about the secrets of three-phase connections. 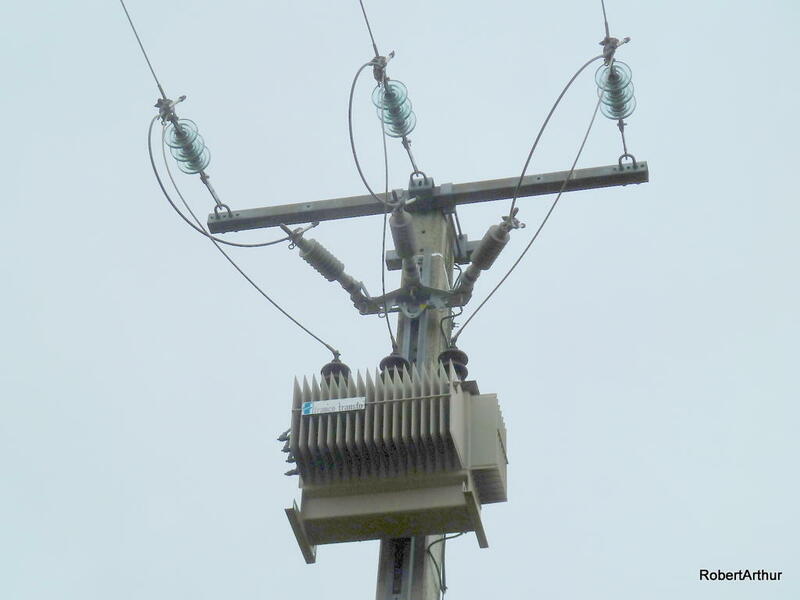 Three-phase from here to your home. About this ignition problem: these things are rather robust, no sensitive electronic components inside reacting with an auto-destruct behaviour as soon as a switch-on or sudden switch-off peak voltage enters your kitchen. All fuses okay? Tried the keep it simple and stupid (kiss) method, unplugged the kitchen equipment, voltage ok in your local socket? Thank you for replying so fully! We are on 15amps, so 5 per phase - I'm trying to sound knowledgeable! The electrician positively hissed when I suggested it might be easier to switch to mono and muttered darkly about the many Machiavellian ways the EDF have of parting you with your money. We could up our amp-age (is that a word? ), but that would cost too. As a holiday home, I have always wanted to keep things fairly basic. I think the trouble started because I plugged the fan heater into a pc meant for an electric radiator and thus overloaded the circuit. Anyways, we managed Christmas without further mishap and have confirmed to the electrician his very low opinion of my ability to understand basic electricity, but he is very patient with me! A happy new year to all the readers of this forum. Creusebear, you may not believe me, but once upon a time I was the boy who was reading books and books and more books. Please don't ask him to do anything practical. 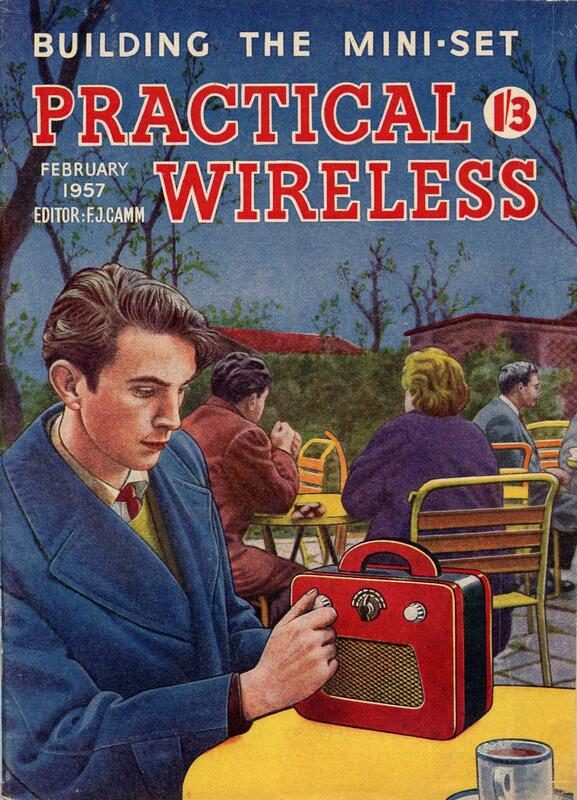 Things changed after building my first crystal radio receiver, a switch was turned on in my head. And then it started ...... To cut a long story short: understanding the behaviour of electrons is not rocket science. It's simple. After these comforting words an additional remark about the sometimes hidden costs of a change from three-phase to single-phase. Case 1 is simple, the "short" connection to the grid. 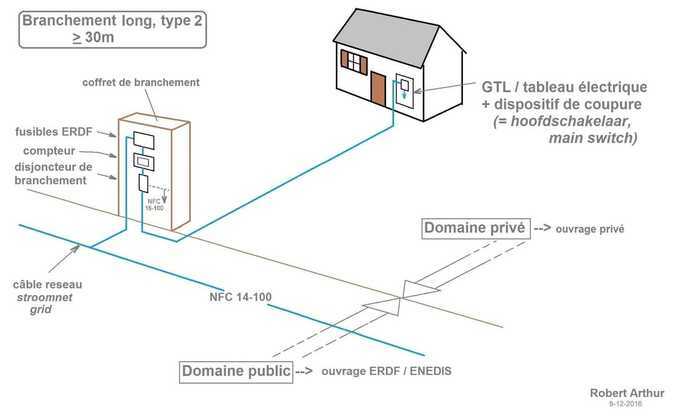 Changing the cables from pole to house is the responsibility of ENEDIS (ERDF). 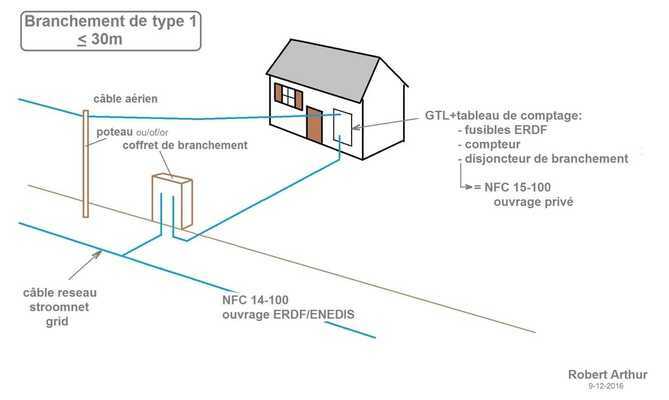 Because your are responsible for your installation électrique from the main switch, the disjoncteur de branchement (DB). 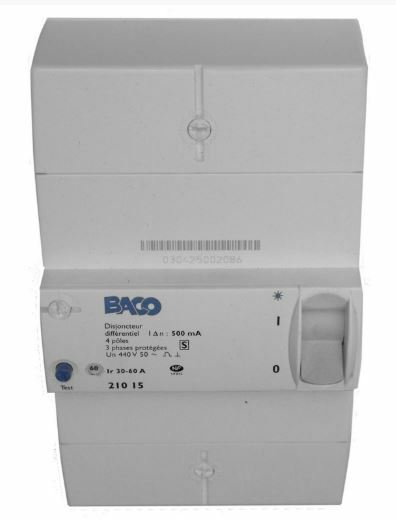 In case 2, the "long"connection, meter and DB outside, the same principle implies that you are the one who has to pay for the new wiring from meter box to the consumer unit inside. 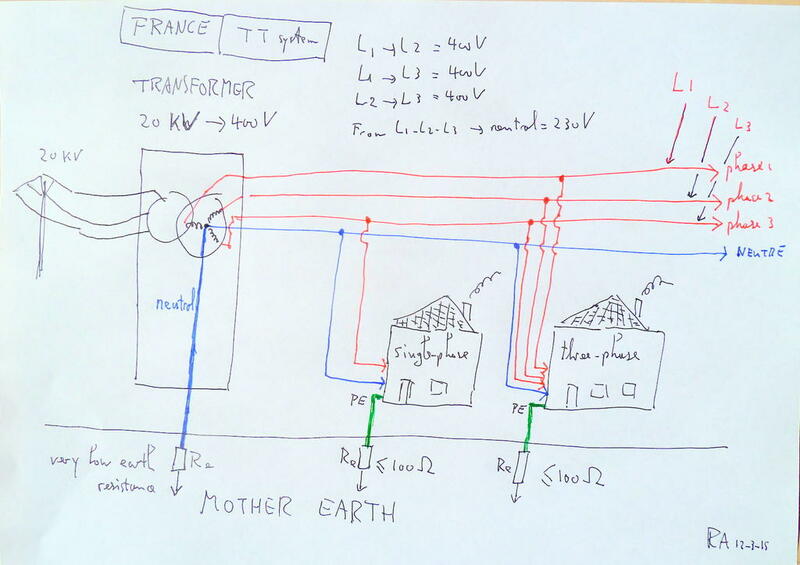 Creusebear, to continue this step-by-step introduction to the secrets of l'installation électrique: you mention your "amp-age" being 5 amps per phase in three-phase. I'm afraid your so called puissance souscrite - see this table for the translation of amps into your puissance souscrite (total power) - will probably be more. Have a look at this (old) three-phase main switch. It mentions 25 amps per phase, so here they get 75 amps (15 kVA). The modern three-phase main switches only show one number. I wouldn't be surprised if your abonnement is a 9 kVA puissance souscrite, 15 amps per phase. Easy to check on page 2 of your facture EDF. Money: for about twenty euros more per year you can upgrade to 12 kVA power, giving you 20 amps per phase. More headroom and probably cheaper than inviting ENEDIS and electricians to change your connection to the grid from triphasé into monophasé. It is careful you must be Master Yoda - this Padwan ain't that smart! I will check the bills on our next visit but I know there is a number 15 on the box - that must mean something? Our neighbours were muttering about the new Linky smart meter but I haven't had a letter about it yet. We do have an outside reader so that the meter can be read when we aren't here which is useful, I wish there was the same for the water. OK, so my New Year's resolution is to get my head round electricity. May the Force be with you!